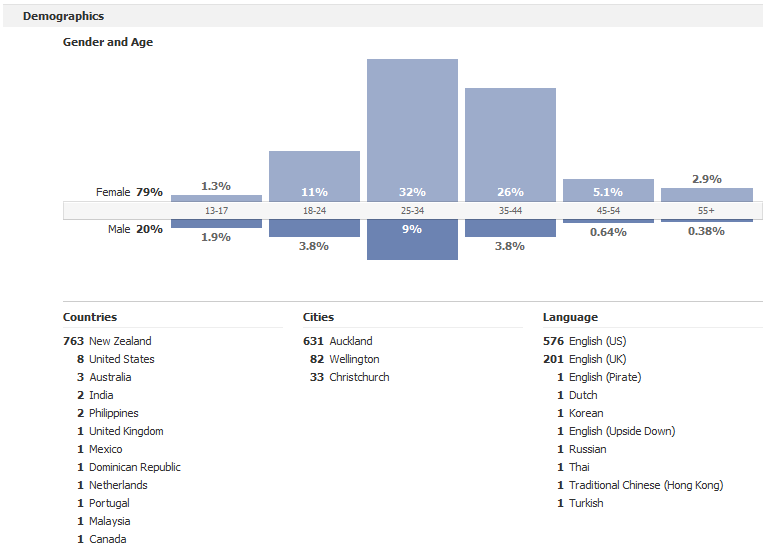 As expected most of our fans are in New Zealand, but there is a splattering from right around the world. Hello to our international fans! 32% of our fans are female in the 25-34 age bracket, and 26% in the 35-44 age bracket. 79% are female. You girls love a good one day sale shopping bargain! As the fan base has grown from 100 to 500 to now over 800 fans, these numbers have been pretty static right through out. The language breakdown is also interesting, we have one pirate fan out there, but I am still a bit puzzled on the person who reads everything upside down though, that sounds like no easy feat! Thanks to everyone for all your support over this year, looking forward to a fantastic 2011! Toyco – the seriously fun toy company! That’s right, Toyco have just launched their online shopping site to the public, and they have some great bargains and toys to be had. Check them out now for a fantastic range of toys, including all the top brands such as Lego, Thomas the tank engine, Barbie and more to come! You can even go into their shop at 7 Wagener Place in St Lukes, Auckland. Are we going to loose three one day sale sites? According to the following article on Stuff (http://www.stuff.co.nz/business/industries/4324130/Receivers-appointed-to-Tindall-venture) Hubsta has been placed into receivership. What you probably don’t realise is Hubsta powers the online shopping sites behind Yahoo Xtra, NZ Herald and The Deal. As of today they have no daily deals, just a box saying ‘no daily deals today’. I have a few contacts there, so will send off an email and see what response I get back. Had a busy day and really need a drink? Then check out www.1-night.co.nz as they have started doing a daily drink deal for the Wellington region. Launch drink is a $10 super jub at Kiwi Pub, which are normally $17. 1-Night have been around for a while doing ticketing and a pre-paid card for resturants and other entertainment venues, and have just ventured into the one day sale space. They will be launching in Auckland soon as well, so keep an eye on things! We also had a catchup with Josh from www.1-Night.co.nz, check out their site profile for the chat.